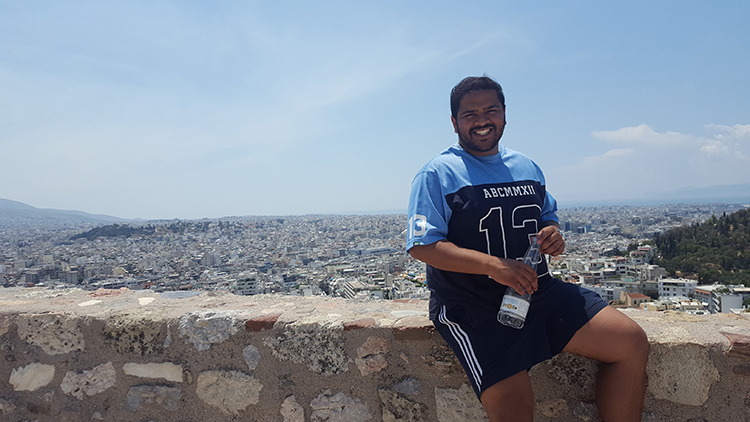 Architecture student Austin D’Souza attended an architecture conference at the Athens Institute for Education and Research in Greece, engaging with architectural experts and experiencing the country’s rich history. 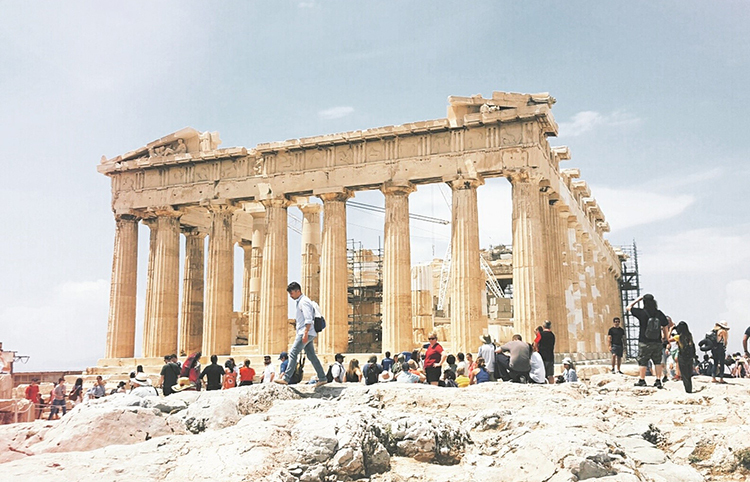 Austin experienced the sites of Athens during his visit to Greece in June, including the ancient Parthenon. Greece, with all its history and interesting sites, is a dream destination for many aspiring architects. But my time in Greece wasn’t all about taking in the history—I was there to attend an architecture conference and present some of the work I’ve been doing as part of my master’s thesis about designing for different cultures—an important topic for the country we live in. While New Zealand is an increasingly ethnically diverse country, there are growing concerns that representation of different ethnicities is not always present in our environment and infrastructure, and that a failure to acknowledge this could increase social and cultural inequality. Culture, ethnicity and race all play a big part in the way people choose to interact within their natural surroundings, and my research looks at the key differences in how the two cultural dimensions of individualism and collectivism are demonstrated in an outdoor environment. My thesis proposes an alternative vision of urban life that provides for the activities of different groups who can dwell together without forming a community. Austin presented his master’s thesis research at the architecture conference at the Athens Institute for Education and Research. The highlight of the conference was the fact that it was indeed an international conference. It brought together people from all over the world, and it was amazing to see the variety of countries, ages and architecture research streams represented there and to watch everyone come together and learn from one another. I learned how vast and interesting the field of architecture really is and met the people driving the future of it. From infrastructure to human behaviour to building methods, there are people doing really clever things for our profession and the cool thing is they’re not all architects! 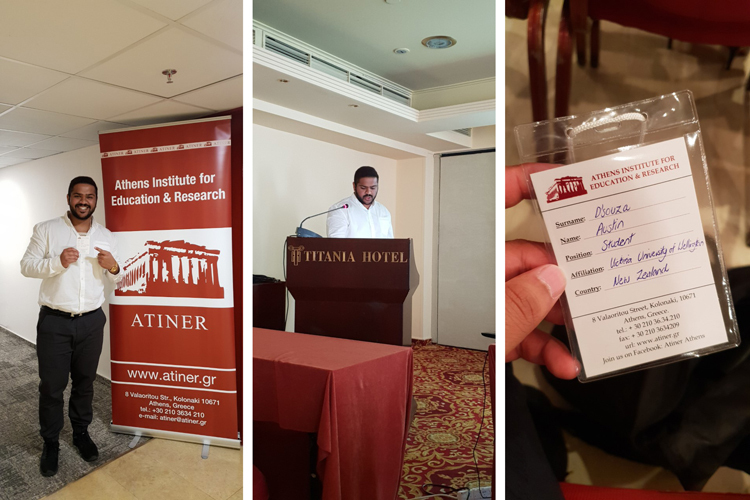 I was the only master’s student there, and even though it was a bit intimidating, I was proud to be there, and I used this opportunity to learn from academics more knowledgeable than myself. I was lucky enough to make connections with other researchers looking into similar issues, and I got plenty of feedback on my thesis topic, which helped me widen my perspective. The conversations I had with different participants will help me both in my studies as well as my future career. Austin spent time enjoying the sights of Athens after presenting at the architecture conference. Of course, another big positive was the fact that I got to spend time in Athens! The culture in Greece is amazing and the food is unbelievably addictive. People are very friendly and there are plenty of sights to see. I’d like to extend my gratitude and thanks to both Jacqueline McIntosh and Bruno Marques from the School of Architecture for their help and knowledge, and to Victoria University, for this amazing opportunity to get out there and show the world what us Kiwis are made of! Austin D’Souza is a fifth-year Master of Architecture student.